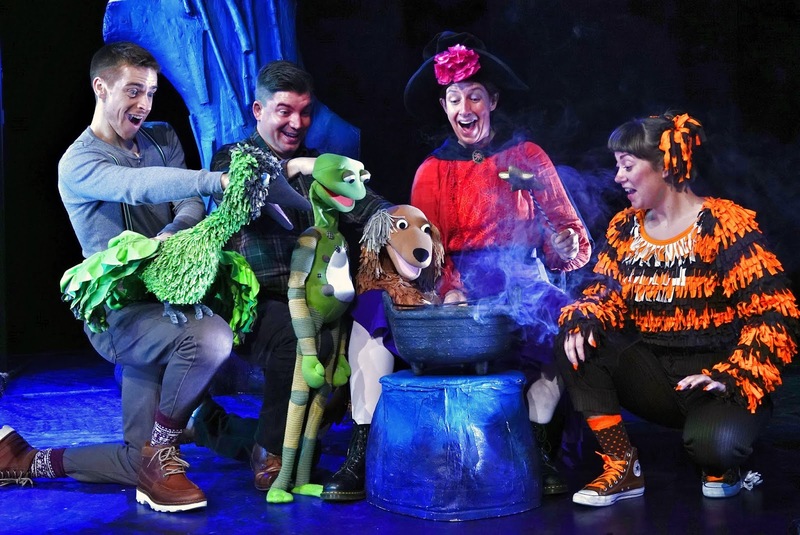 Following a record-breaking West End season, Tall Stories’ hit family show Room On The Broom is returning to Newcastle Theatre Royal this Easter – witch, cat, dog, bird and frog in tow! Hop aboard. 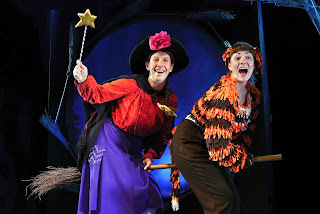 The Olivier Award nominated production tells the story of a friendly witch, her cat and three loveable animals who take to the skies on a broom and face a fearsome dragon in this magical, musical adventure. 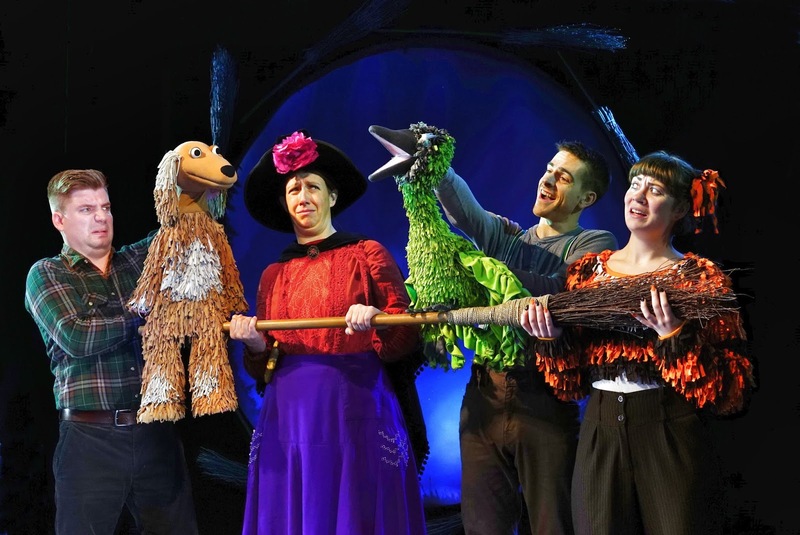 With enchanting puppetry, original sing-along songs and scary fun, Room on the Broom is ideal for families with children aged three and up. The cast of Room on the Broom includes Amy Harris as ‘Witch’; Emma Crowley-Bennett as ‘Cat’; Charlie Guest as ‘Dog’ and ‘Frog’; Andrew Mudie as ‘Bird’ and the ‘Dragon’; and Alastair Chisholm completes the cast as understudy and Assistant Stage Manager. 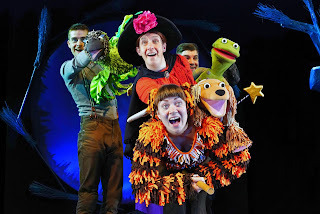 Room on the Broom is produced and created by the critically acclaimed theatre company Tall Stories. The company was founded by Artistic Directors Olivia Jacobs and Toby Mitchell in 1997 and this year celebrated its 21st birthday. 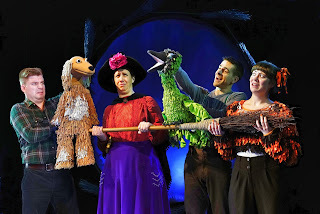 Tall Stories’ previous productions include, The Gruffalo, The Gruffalo’s Child (both of which have visited Newcastle Theatre Royal), Emily Brown and The Thing, The Snail and The Whale and The Snow Dragon. For Room on the Broom the creative team includes director Olivia Jacobs, associate director (current cast) Sam Conway, creative producer Toby Mitchell, designer Morgan Large, puppet designer Yvonne Stone, composers Jon Fiber & Andy Shaw (Jolly Good Tunes) and lighting designer James Whiteside.